Earlier in the week we reported that PQube Games had plans to release a playable demo of BlazBlue Cross Tag Battle as well as a Closed Beta event for the PlayStation 4 on the 18th May 2018; well in Japan and North America Arc System Works have gone one step further by releasing a trial version of the game that has both offline and online mutliplayer support for both PlayStation 4 and Nintendo Switch. This trial version of the game is completely free to download from both the Nintendo Switch eShop and PlayStation Network Store in Japan and North America; and regardless of where the demo/trial version is downloaded from it can be played in English (with both English & Japanese audio options being included for the different characters) and can be played online using your main Nintendo Switch or PlayStation Network account. 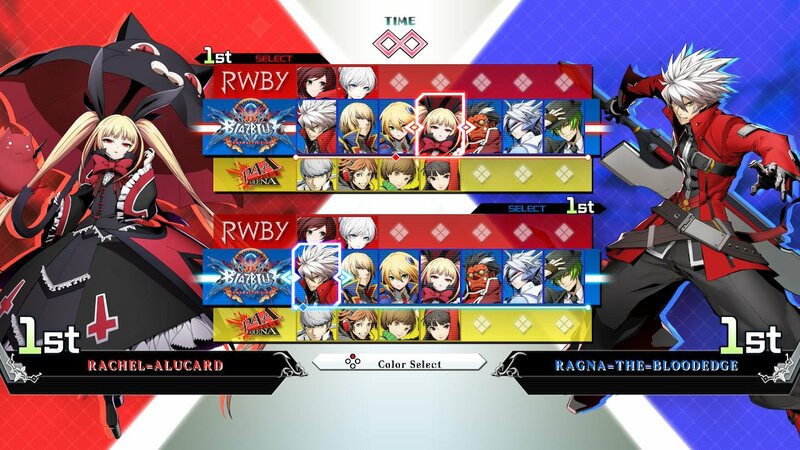 This trial version of the game allows fans to try out the game with up to twenty different characters from the BlazBlue, Persona 4, RWBY and Under Night In-Birth franchises in both offline versus modes as well as competitive online multiplayer modes. That’s not all either as money earned during regular gameplay can be used to purchased new items (such as lobby avatars and titles) for your online persona – all of which can be fully customised to your liking. 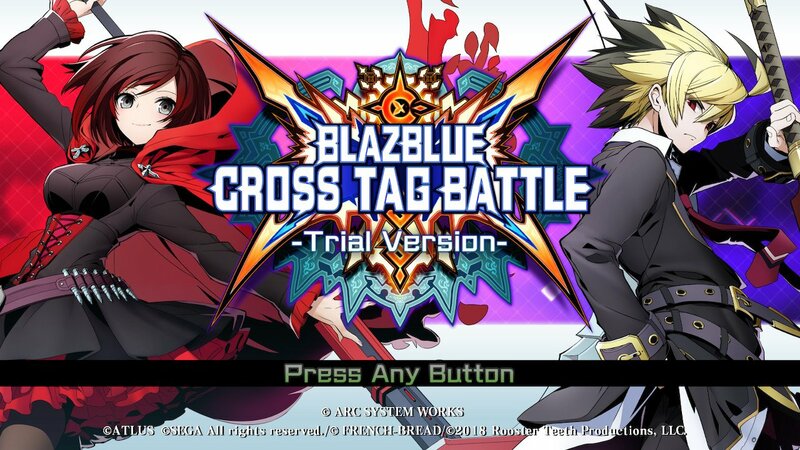 This trial version is ‘really expansive’ and it gives fans a clear indication of what to expect from the overall game when its released later next month worldwide; that is with the exception of offline campaign modes of which BlazBlue Cross Tag Battle will feature. 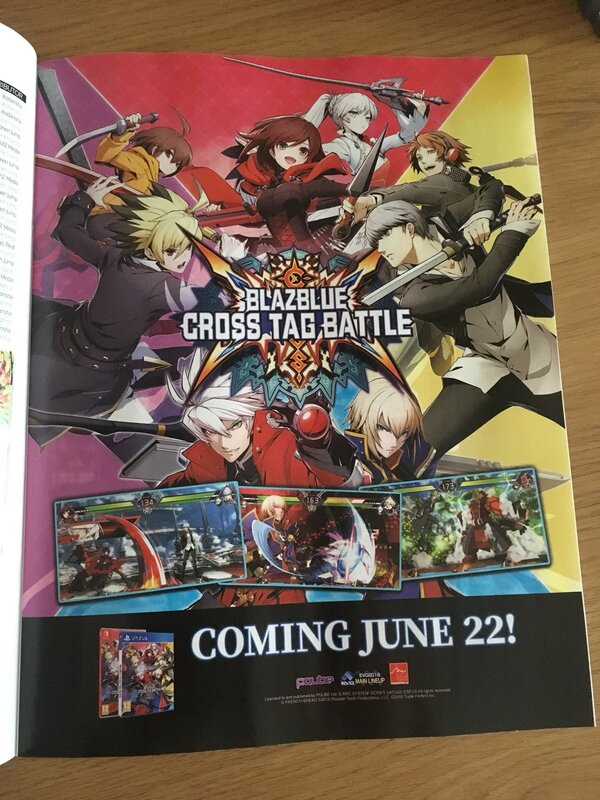 This is not the only good piece of news either; as a promotional advert in the latest NEO Magazine has confirmed that BlazBlue Cross Tag Battle will launch on the 22nd June 2018 within Europe via PQube Games; which is several weeks behind its North American release that is on the 5th June 2018 and it’s Japanese release which is on the 29th May 2018. BlazBlue Cross Tag Battle will be released worldwide onto the PlayStation 4 and Nintendo Switch next month within Europe.